Today is the birthday of David C. Kuntz (February 9, 1877-October 22, 1915). He was born in Waterloo, Ontario, in Canada, and was the grandson of David Kuntz, who established the first brewery in Ontario. He was also the son of Louis Kuntz, David’s son. After the first David Kuntz died, his son Louis Kuntz took over, renaming the the business Louis Kuntz’s Park Brewery, and David C. succeeded his father. Shortly after his passing, in 1930, Canadian Breweries Limited, which had originally been “named Brewing Corporation of Ontario,” was created “by merging The Brading Breweries Limited, an Ottawa company Taylor had inherited from his grandfather, Capital Brewing of Ottawa, and Kuntz Brewery of Waterloo, Ontario.” In 1977 Carling Brewery was purchased by Labatt Breweries of London, but the Waterloo plant was closed by 1993 and all the buildings on the site had been demolished. 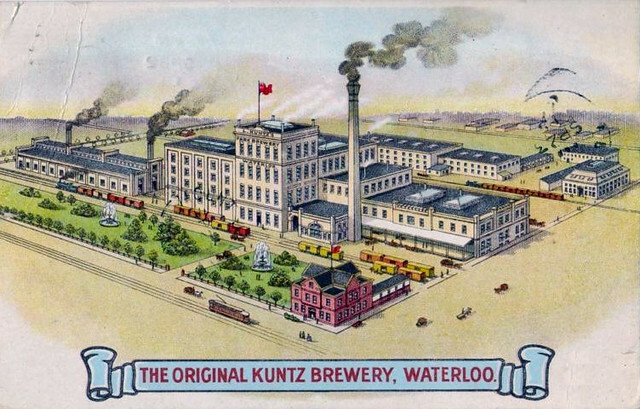 Kuntz brewery works around 1910. 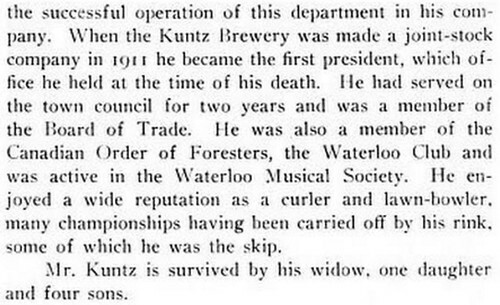 Here’s a brief mention of David C. Kuntz from Flash from the Past: What remains of the Kuntz Brewery legacy? Louis Kuntz died, aged 39, following an appendectomy in 1891. His children were still young so brother-in-law Frank Bauer, also a brewer, took over. 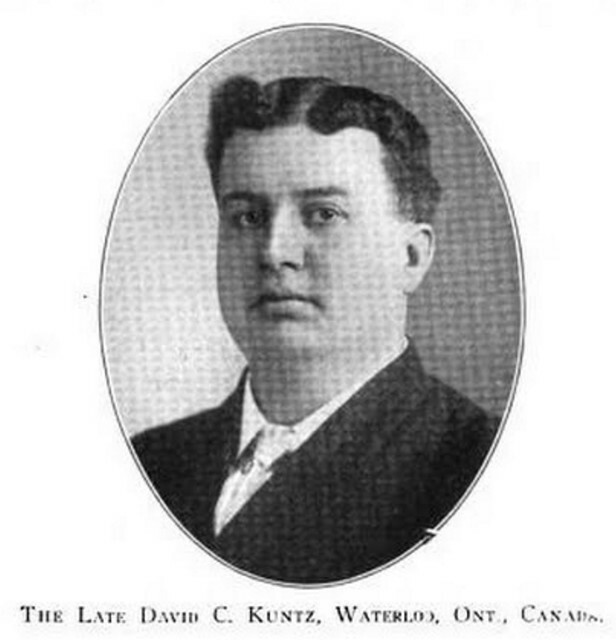 Then David Kuntz died in 1892. 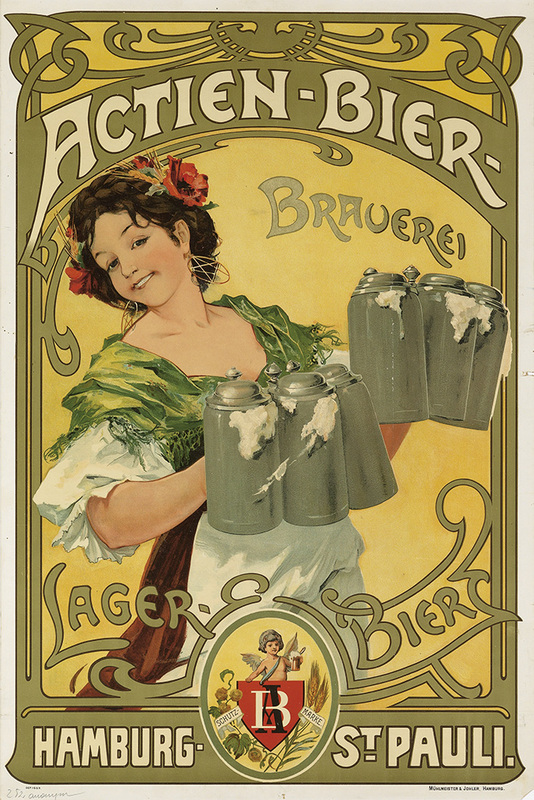 Bauer’s own 1895 passing began an almost unbelievable sequence of deaths in the brewery’s management. However, business success continued and in 1910 David Kuntz Jr., Louis’ son, took over. He also died young, 38, in 1915 so his two brothers, Herbert and William stepped in. Today is the birthday of Joe Allen (February 9, 1888-April 24, 1976). 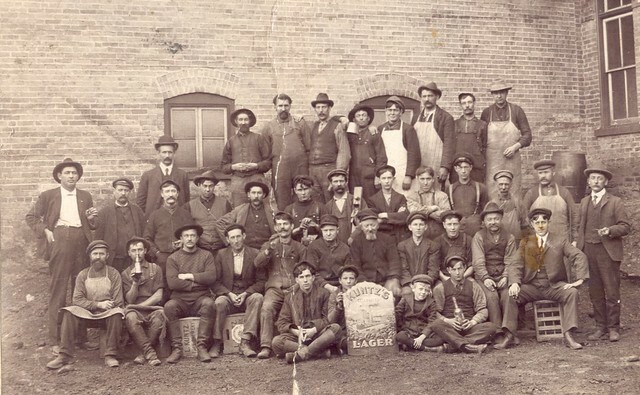 Allen’s parents were Irish and came to America, settling in Minnesota, in 1883. 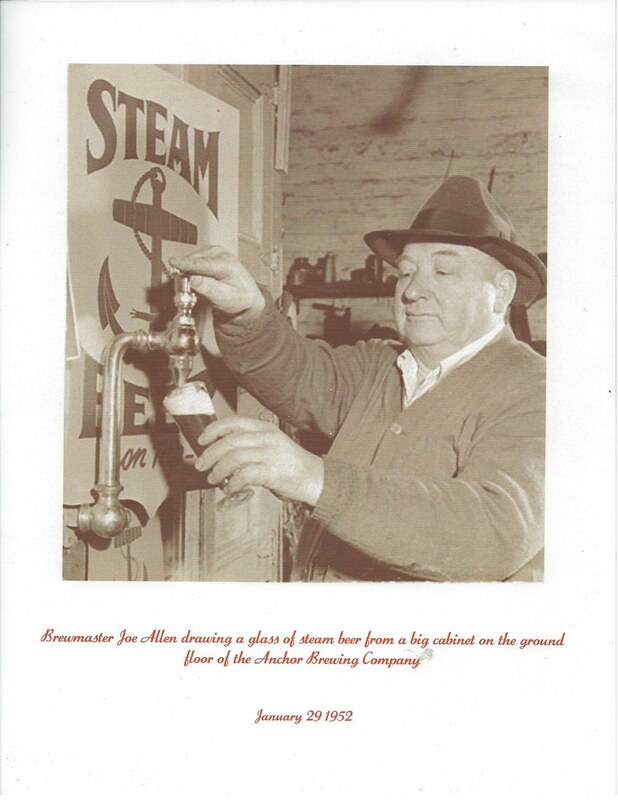 At some point, Joe made his way to San Francisco and was working as a brewer at the Anchor Brewery when it reopened after the end of prohibition in 1933 at 1610 Harrison Street. Unfortunately, less than a year later, in February of 1934, the brewery burned to the ground. Owner Joe Kraus then partnered with his brewmaster, Joe Allen, and they re-built the brewery in an old brick building at 398 Kansas Street, by 1st Street. Here, I’ll let Anchor Brewery’s website take up the story from The Era of Mass Production. Kraus and Allen valiantly and lovingly kept Anchor afloat until Kraus’s death in 1952. By late 1959, America’s—even San Francisco’s—new-found “taste” for mass-produced, heavily marketed lighter beers had taken its toll on Anchor’s already declining sales. In July of that year, at the age of 71, Joe Allen shut Anchor down for what would, thankfully, be a brief period. Again, Anchor Brewing picks up the story, Surviving Another Challenge from 1960. Lawrence Steese bought and re-opened Anchor in 1960 at yet another nearby location, retaining Joe Allen to carry Anchor’s craft brewing tradition forward. But one of Anchor’s oldest accounts, the Crystal Palace Market had already closed its doors. And Steese had an increasingly difficult time convincing loyal Bay Area establishments to continue serving Anchor Steam. By 1965, Steese—like Allen six years before—was ready to shut Anchor down. The next year, 1961, the brewery moved to 541 8th Street, where it remained until 1977. Of course, in 1965, another owner invested in the brewery, eventually buying out the remaining partners. That, you probably already know, was Fritz Maytag. 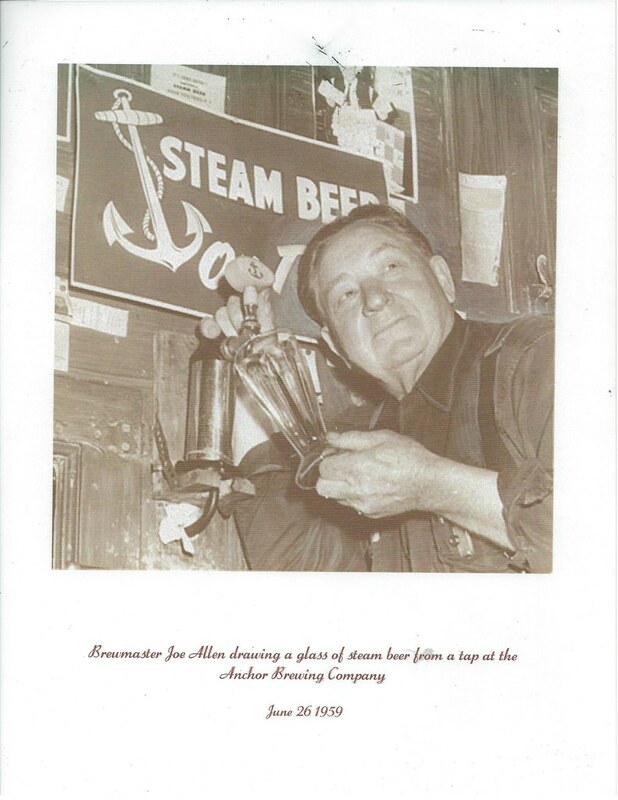 There’s not much I could find on Allen’s life before and after he worked at, and then owned, the Anchor Brewery, not even the year of his death. If anyone has any more information, please leave a comment below or contact me directly.